When I added the board-and-batten treatment to our master bedroom and Amelia's room, I also asked the carpenter to add it to our stairwell. I bought the same frames from Ikea that I used in Amelia's room (the Ribba frame, $9.99). 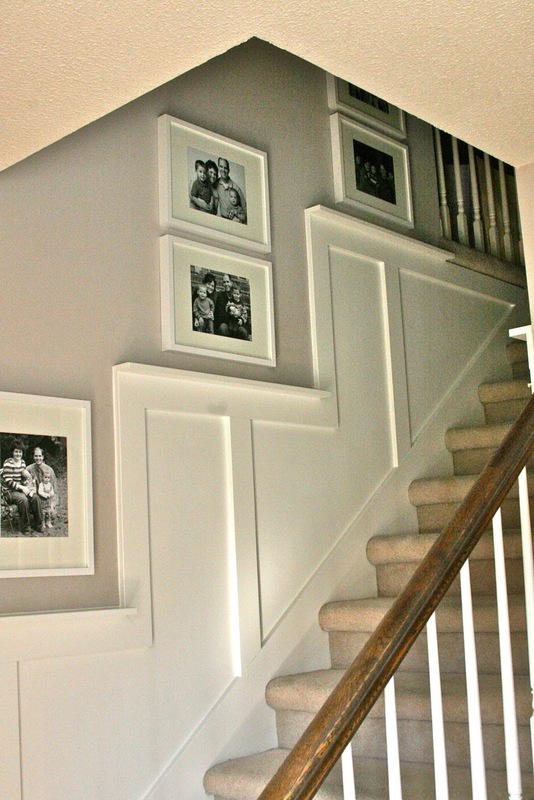 I already had all of our family pictures from the last eight years enlarged to 8x10 size, so I just moved them from their former location (where they were framed in black) to the stairwell. I'm very happy with the way it turned out, though, and I'm especially glad to have high-gloss paint there now ... easier fingerprint removal! This looks incredible! 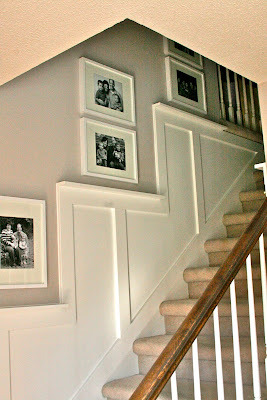 I may have to take the plunge and do that on our stair wall. 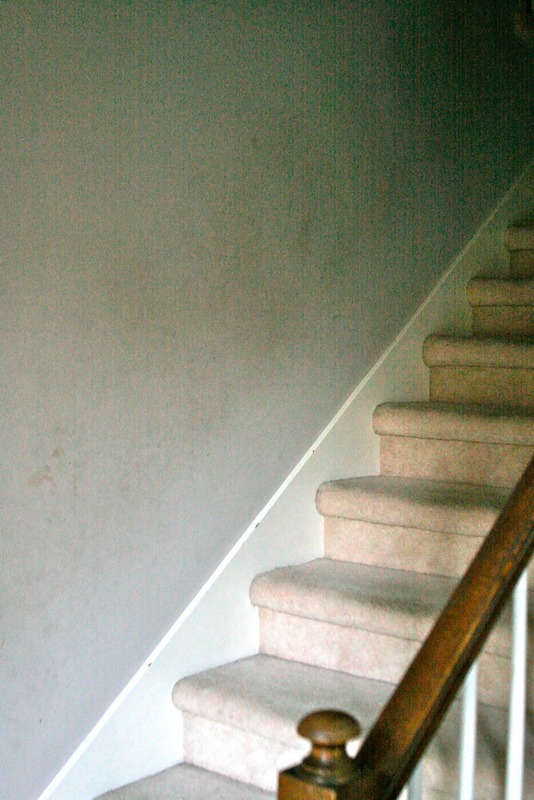 This has nothing to do with the stairwell, which is beautiful, but did you hear on the Today show that Birmingham is the number 2 sleep deprived city in the US. Thought of you, hope you are getting more sleep than most. Not sure where I have been but congratulations on baby Amelia!!! (Love that name btw.) Her nursery is gorgeous...the rug, etsy prints and curtains (so pretty) are my favorite bits!! I love using a low luster enamel paint for the exact reason. I really like the wood treatment in the hall. Good job! This is beautiful! I love it! Beautiful...I tried to talk a client into that very thing yesterday.....but of course she won't listen to me....dang it.